Your website is the face of your travel business. 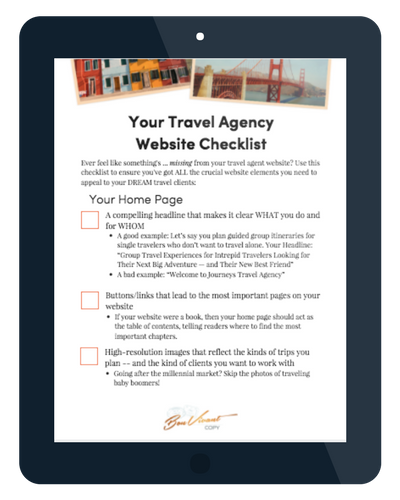 Put your best face forward with strategically written website copy that entices and inspires visitors to book a consult … and then their vacation (all while sounding true to you). Learn more. 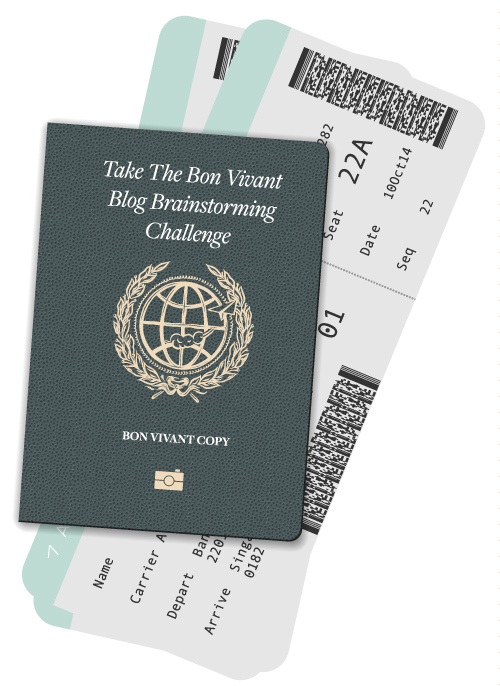 The wittily written tools you can use to keep your list engaged and those bookings rolling in. Think e-newsletters, blogging, opt-in offers, and more. The best part? You don’t even have to write them. Learn more.